Benedicto Cabrera or more popularly known as BenCab is one of the National Artist in the Philippines. He build a museum to showcase his own artworks and his collections of different art pieces from different Filipino artists. It also houses a lot of indigenous artifacts from the Cordillera region. I love to look at paintings so when we made a stop over in Baguio, I knew it was the perfect opportunity to check out BenCab Museum. As we entered, the painting behind the reception desk give guests a sneak peak on some of the things to see inside. One of BenCab's famous subject for his paintings is Sabel. These are some of his paintings that caught my eye. Among all his paintings, this painting was my favorite. It was called Reunion, it was depicting a family lovingly hugging each other.The strokes and lines seems to be pointing to the center. It was beautifully touching and heartwarming. There were a lot of tribal artifacts from the Cordillera region that were on display. 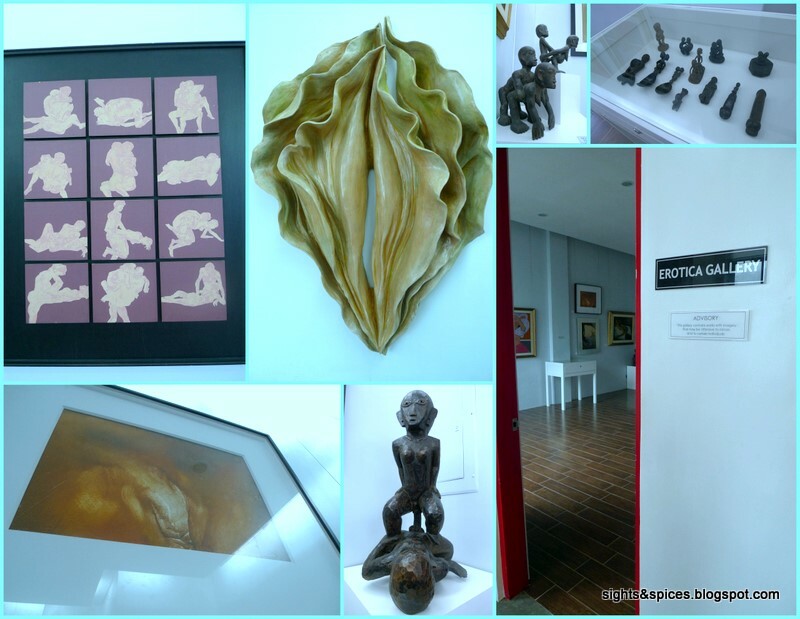 Some of BenCab's collection made by different Filipino artists. I forgot who the painted this astonishing piece. When I took a closer look I was surprised to see that the wood board was etched first before being painted on. On the Left is the Whole Painting. On the right is a close up look on the etched wood. 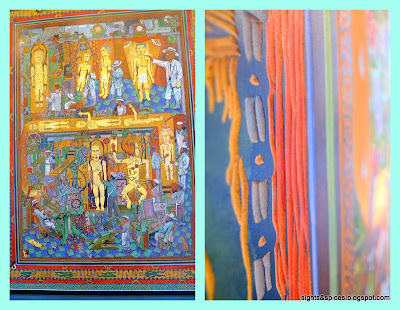 It was an unbelievable sight to see the paintings from the legends of Philippine art all in one room. The last area we went to was the Erotica Gallery. 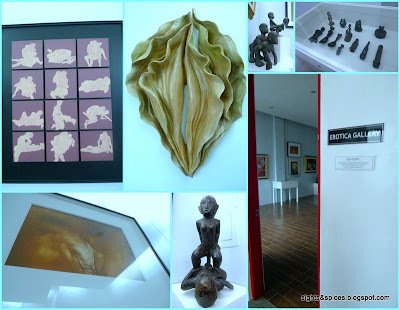 There were sculptures, paintings and artifacts with an 'artistic' sexual theme. After looking and appreciating all the artworks, we went down to Cafe Sabel and had coffee in the gazeebo outside the museum. The view was amazing! It was an amazing experience looking at all the paintings, sculptures, artifacts and different art pieces.It's a reminder to people that the Philippine art scene is so rich and is still so much alive in these modern times. 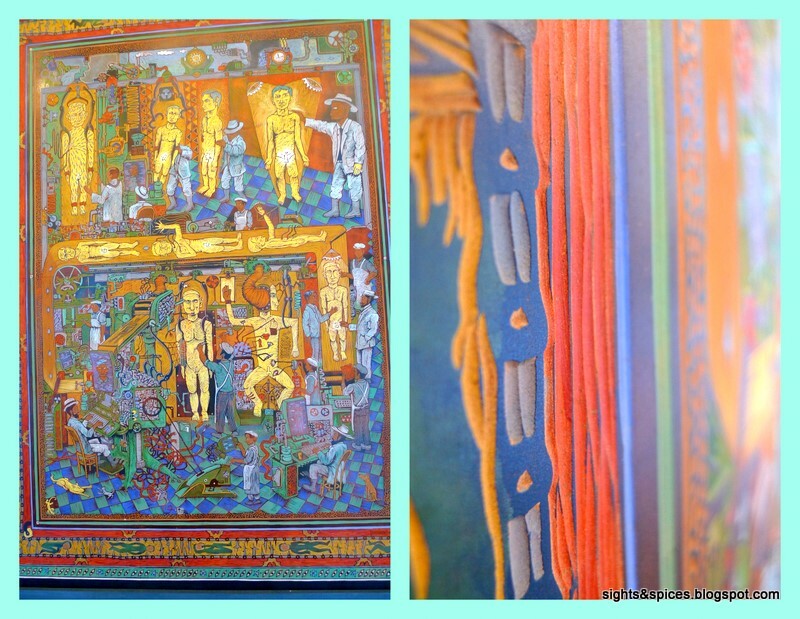 The museum is definitely a must visit whenever you find yourself in Baguio.